It is with extreme sadness, that I report the passing of sculptor Lawrence Nowlan at 48 years old. 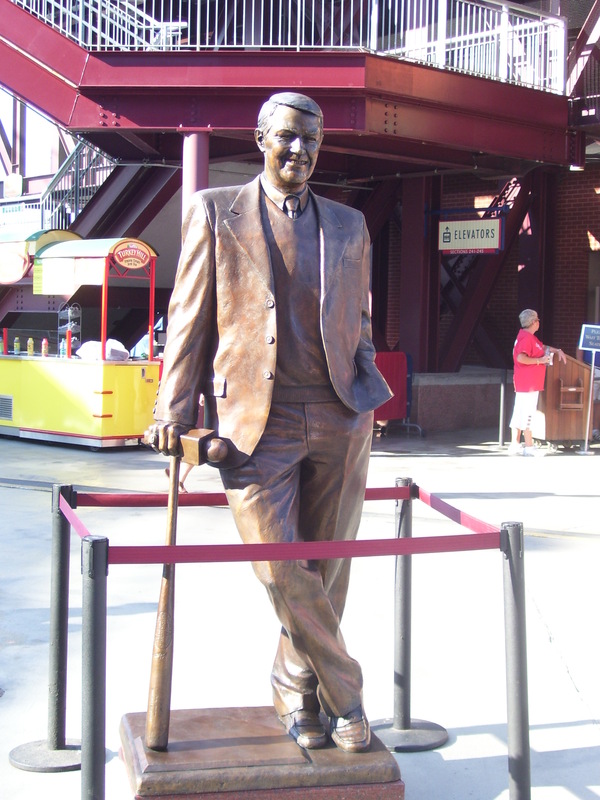 Larry, if you didn’t know, was the amazing artist who created the Harry Kalas statue at Citizens Bank Park. I had an opportunity to meet Larry, while the statue was still a work – in- progress. He was as down-to-earth and genuine, as he was talented. Larry’s goal was to create a statue that not only honored Harry, but also the fans of Philadelphia. I think we would all agree that he succeeded. The next time you pass the Harry statue at C.B.P, say a little thanks to Larry.